The report of an extensive research survey carried out by Ricardo-AEA seeking the views of stakeholders in shale gas exploitation – ranging from the oil and gas industry, central and local government, energy-intensive industries, universities and professional service firms, to NGOs and not-for-profit organizations – has been published today, providing new insights into the perceptions and reality of its potential environmental impacts. 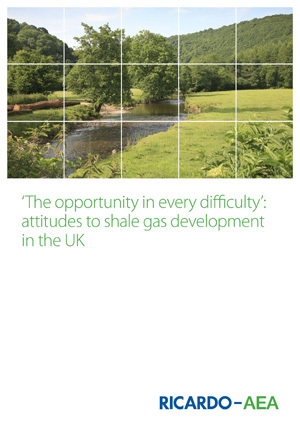 The report, entitled ‘The opportunity in every difficulty’: attitudes to shale gas development in the UK, presents the findings of an in-depth survey of over 350 stakeholders from an extremely wide range of stakeholder sectors. Respondents had very mixed views on the carbon impact of developing shale gas. 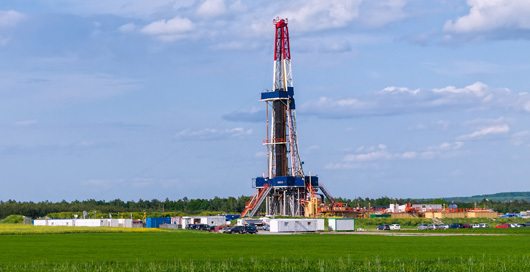 The survey report explains that shale gas is unquestionably a fossil fuel but, provided extraction and processing are properly controlled, it can be viewed as a lower carbon alternative to conventional fuels. The key, as the report shows, is to manage the use of shale gas, so that it doesn't restrict renewable energy sources. As such, over half of the survey respondents were in favour of developing the UK’s shale gas resources. Despite widespread publicity on the subject, the stakeholders were surprisingly relaxed regarding issues of water pollution and water resources. Impacts on ecosystems and visual impacts were, however, a significant concern. In this connection the reliability of local planning frameworks and enforcement might be considered of paramount importance. However, a majority of survey respondents did not have confidence in the competence of local authorities to make important planning decisions about shale gas. Crucially, this view was shared by over half of the local authority stakeholders. Perhaps reflecting these concerns, more than half of stakeholders expect regulators such as the Environment Agency, to generate evidence on environmental impacts through monitoring and research. As the report points out, however, there are clearly no guarantees that this will happen, particularly in the current economic climate. Mark Broomfield, Ricardo-AEA’s unconventional hydrocarbon specialist consultant and the survey author, said: "It looks like there's a mismatch between people's expectations of regulators and planners and what they can deliver in practice. The next few years are the time for us to be preparing the ground through monitoring and research, so that we have the evidence we need and the authorities are ready to deal with the difficult decisions that they will face." The report, ‘The opportunity in every difficulty’: attitudes to shale gas development in the UK, is available from Ricardo-AEA’s website together with a recording of its recent webinar on the subject: http://www.ricardo-aea.com/cms/shale-gas-and-oil-perceptions-and-reality-of-environmental-impacts/.